BackupAssist offer advanced data protection features often found in Enterprise-grade software to the SMB market, all at an affordable price. 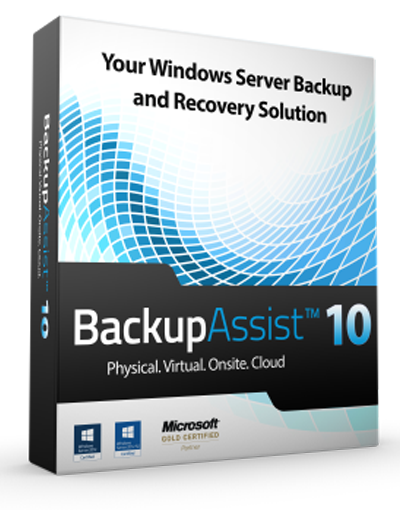 Whether you’re running a virtual or physical environment, or looking to back up your data on-site or in the cloud, BackupAssist has you covered. Don’t break the bank to get top-tier backup software for your business. Our software lets you swiftly and reliably restore any data you may lose, saving you from trouble or financial ruin. Trusted by companies and customers in over 165 countries. Bare Metal Recovery for Servers. Restore individual files, folders, drives. Spin up lost or damaged VMs in seconds. Powerful backup search. Supports Wildcard. Achieve SQL RPO’s as low as five minutes. Reliable data recovery to save you from ruin. A simple, stress free process and easy to use UI. Affordable recovery tools with all that you need. Everything from granular restore to bare-metal recovery. Swift recovery times and minimal downtime. Restore from local, removable, and cloud backups.